This is my "lawn" or shall we say, Dandelion Garden. As my husband was cursing these yellow, happy little flowers this morning... 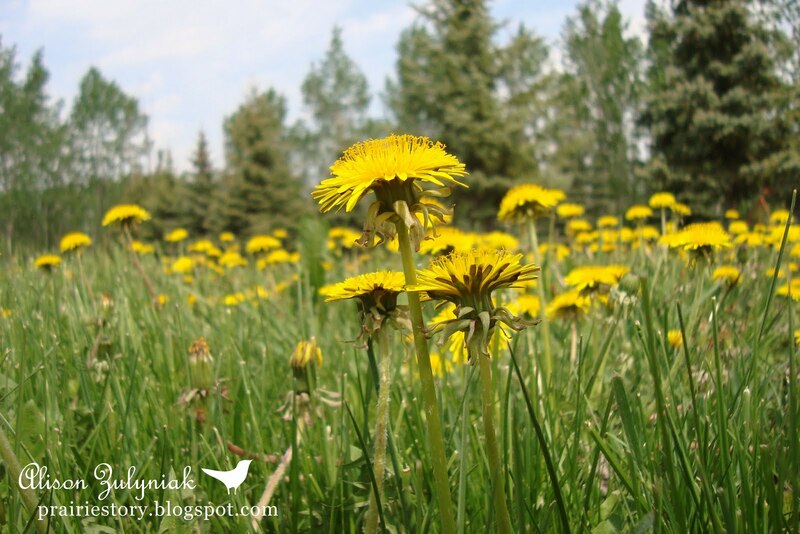 I joked and told him that the kids and I would go and pick them today to make Dandelion Salad from the greens and Dandelion Wine from the flowers. Regardless, the war is on - Zulyniaks vs Dandelions. So far the dandelions are winning.